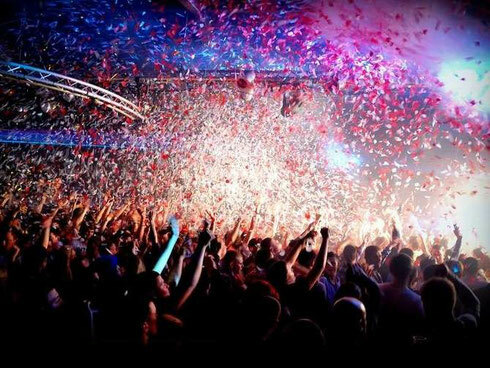 The team behind BCM Mallorca is renovating Club B and aim to transform it into possibly Magaluf’s most exciting party hotel. The hotel complex that was already on the site apparently has had more than two million euros spent on it and the whole thing has been completely upgraded from the ground up. Designed for those that are looking for a fun and lively atmosphere, BCM Hotel will offer completely renovated apartments. The hotel includes access to its swimming pool, all-inclusive deals offers, air conditioning, free hi-speed wifi and comfortable facilities. There are also rooms with a view of the pool that sleep four and feature a spacious bedroom plus a living room with sofa bed, bathroom with shower and bath, kitchenette equipped with fridge and more. The hotel offers access to popular beaches and views of the Med and everyone who books directly through the BCM Hotel website will receive one night entrance into BCM (Sundays), a goodie bag full of BCM merchandise plus a BCM discount wristband which will give you savings in possibly some of Magaluf’s busiest bars, clubs and restaurants. You’ll also get free, poolside access to the BCM pool parties. I have been surfing online greater than 3 hours today, yet I never found any attention-grabbing article like yours. It is pretty value enough for me. In my opinion, if all website owners and bloggers made just right content material as you did, the web will probably be much more useful than ever before.